How many times have you been sitting around watching the tube and reached down for the remote, grabbing your phone instead? Or grabbed the wrong remote? Or lost the remote? These scenarios could go on all day long, but what if you could put a stop to the remote madness altogether? A new device from Griffin and Dijit Media called Beacon looks to do just that by turning your Android phone or tablet into a fully-functional remote control. 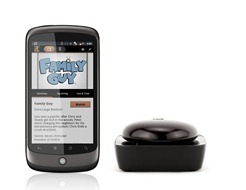 It's actually a simple little gadget that communicates with your Android over Bluetooth. 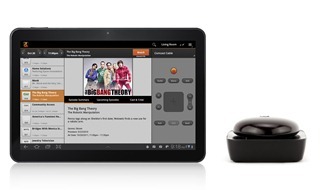 It converts that Bluetooth transmission to IR and transmits it to your TV, Blu Ray player, stereo, etc. The software side is powered by an app created by Dijit Media that provides the remote control interface. Point. Tap. Watch. Done. How much will this set you back? Not as much as you'd think, actually -- the Beacon is available now for $69.99 from Best Buy or directly from Griffin. The Beacon for iOS will not work with Android and the Dijit app.